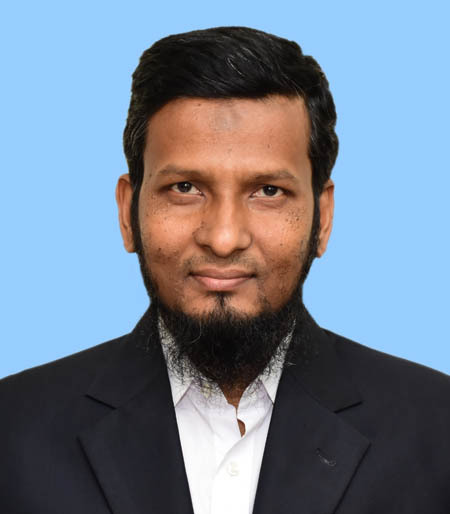 Chief Engineer Mohammad Kamal Hossain has about 16 years of experience in serving on board merchant vessels of different category such as General Cargo, Container carrier, Bulk Carrier and Oil Tanker under national and international flags. He passed HSC from Dhaka College and then admitted Bangladesh Marine Academy (30th batch) in 1994 as an Engine Cadet. He achieved extra first class in Marine Engineering (phase I) and nominated as the best engine cadet which was awarded by Bangladesh Shipping Corporation. Along with maritime education, he received BSc (pass) degree from National University in 1995 and got 1st class. He achieved Chief Engineer Certificate from Department of Shipping, Dhaka, Bangladesh in 2006. He contributed maximum of his sea life in Bangladesh Shipping Corporation (BSC) since 1996 till 2008. After leaving BSC, he joined Private Shipping Company as Chief Engineer. He served as Chief Engineer in NYK Shipping Lines also and achieved working experience with the latest model large engine. He has the experience of executing In Water Survey/dry-docking as Chief Engineer. During his tenure in sea service, he faced AMSA & other PSC/Safety inspections as well. After leaving sea, he joined Shipyard (Ananda Shipyard & Slipways Ltd.-ASSL, Meghnaghat, Narayangonj) as Deputy General Manager in 2011. He contributed himself in outfitting, installation, commissioning and preparation of ships machinery and equipment’s alone & with the service engineers for survey by the Classification Societies. He took part in the successful sea trials of two ocean going vessels built by ASSL in 2012 which included Generator load bank test and inclining experiments also. With the sea and shipyard experience, he started his career in Maritime Education and Training sector and joined as Lecturer in Cambridge Maritime College-CMC in 2013. He played a vital role in preparing Quality Management System (QMS) Manual, implementing and finally conducting the ISO 9001-2008 certification process by DNV-GL in Quality management system of Cambridge Maritime College and SRPS under MLC 2006 of Crewing agency as required by the administration. Recently, he has joined in International Maritime Academy-IMA as Engineering Instructor with the intention of sharing his long sea as well as marine related shore experiences among the enthusiastic young cadets, seafarers and ratings. His native district is Narsingdi and presently he is residing in Mirpur, Dhaka, with his family.